The easiest way to seduce your sweetie this Valentine’s Day is with a seductive cupcake. Forget slaving over a three course meal, this mouthwatering Chocolate Martini cupcake will get more than the batter rising! Think of it as Fifty Shades of baking! 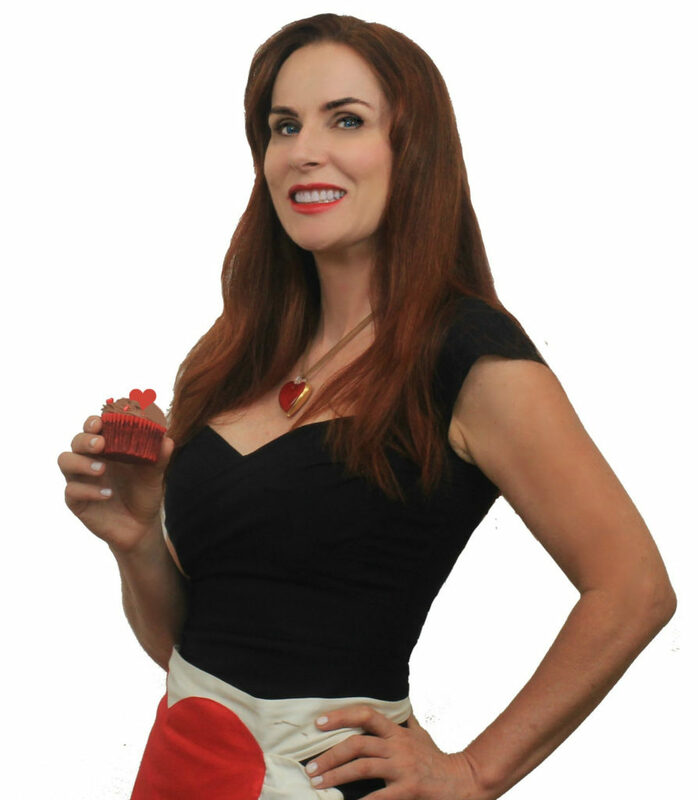 This naughty Valentine’s Vamp Cupcake is lust in a wrapper and will get you both in the mood for some bedroom theatrics. 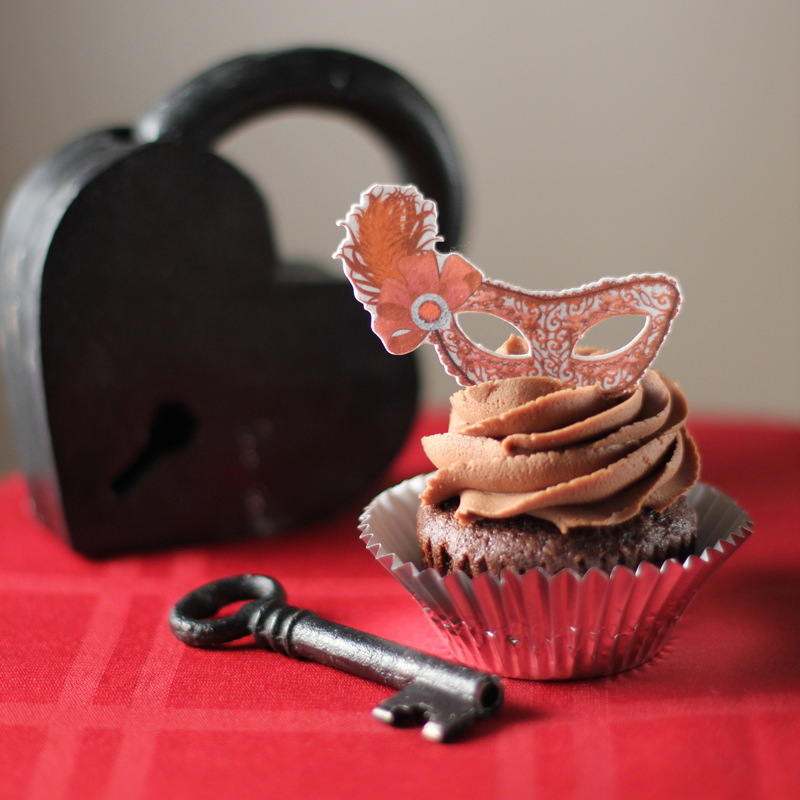 Dim the lights, blindfold your lover and feed him this deliciously decadent dark chocolate cupcake. Resistance is futile. (Makes 12 cupcakes). 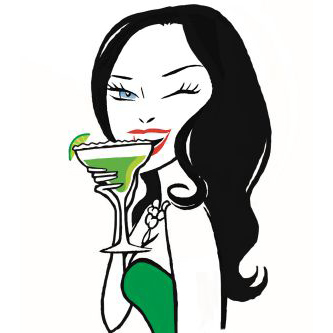 Serve it with a Chocolate Martini and he will be putty in your hands! Preheat oven to 180°F (350°F) and line 12 muffin cups with paper liners. In a small bowl, mix the boiling hot water and cocoa powder together until smooth. Let cool and set aside. In a medium bowl sift together flour, baking soda, baking powder, and salt. Set aside. In another bowl with an electric mixer, cream together the butter and sugar until light and fluffy. Add the eggs one at a time, mixing well after each addition. Add vanilla extract and beat again. With the mixer on low speed add the 1/3 of the flour mixture and alternate with the buttermilk and bourbon until all is incorporated. Add the cooled chocolate mixture and stir until smooth. Evenly fill muffin cups with batter and bake for 18-20 minutes or until a tester inserted into the center comes out clean. Let cool on a wire rack. In a medium bowl with an electric mixer, beat together the butter and cocoa until light and fluffy. Add the whiskey and beat again. Incorporate confectioners sugar 1 cup at a time until all is combined. If you like the edible mask topper, it’s from TastyPrints on Etsy. Love the adult cake recipe and adore the Tasty prints topper!